We love weddings, they are such joyous occasion and it is a real privilege to be able to share in your special day. I want to be able to help you make this a wonderful experience and look forward to helping you with your preparations. The first thing you need to do is contact me to arrange a meeting when we can discuss what needs to be done. You won’t need any paperwork at this stage. You will need to come to my home: the Rectory, Rectory Road, Bluntisham, Huntingdon PE28 3LN for the meeting. If you are good on the Internet, then a really useful website is www.yourchurchwedding.org, which is a website run by the Church of England. It will give you a lot of information including various couples’ experiences of their wedding preparations and day. It also shows a sample wedding service to help you do your order of service. If you aren’t a techie, it isn’t a problem, as we can go through everything at our meeting. 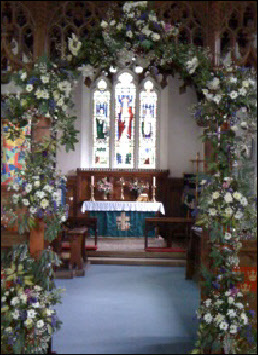 To download more information about your wedding at one of our churches, click here. Do telephone me on 01487 740456 to arrange a suitably convenient time to meet. I very much look forward to meeting you.